Designed for people with low vision or who have difficulty reading standard-sized captions. 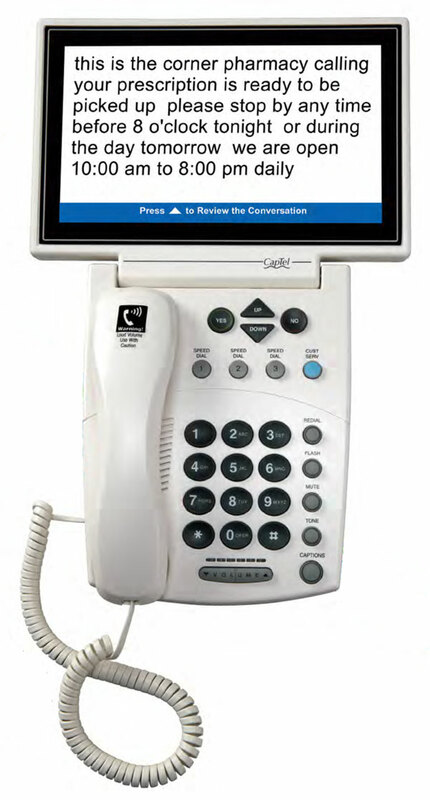 The CapTel 880i captioned telephone shows captions of everything your caller says on an extremely large display screen to help make sure you catch every word. It connects to both your telephone service and to your Internet service to give you the best of both worlds: voice and captions. The captions are provided by a free service that uses the Internet connection to automatically display captions for every call, quickly and accurately. CapTel can be positioned anywhere within your wireless network range or it can be connected to your Internet with an Ethernet cable. NOTE: Customers who do not require a Large Visual Display should consider other CapTel models.